We are offering Leather Belts to our clients. Description : Brown leather belts made in India. 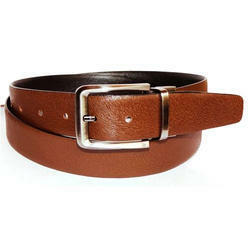 We are provider of Casual Leather Belts. 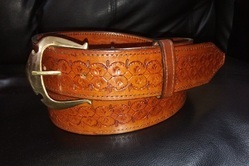 Leather Belt Description:-We provide various attractive designs of Leather Belt which are available in different size and length as per the demands of the client . Leveraging over the skills of our qualified team of professionals, we are instrumental in offering wide range of Chino Brown Leather Belt.